My professional background includes web design, marketing, business administration, project management, health and wellness, creative arts and tapping into the collective subconscious. Email me to start a discussion about your hopes, dreams, goals, schemes, scones and favorite internet memes. 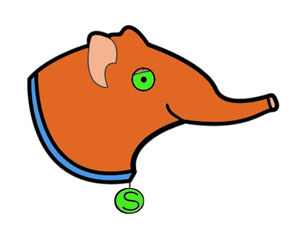 Schmarty is one shrewd shrew! With roots in the semi-arid schrublands of northeast Tanzania, Schmarty is a elephantulus rufescens, more commonly known as the Elephant Shrew. Truly living up to a macroscelidida's reputation, Schmarty is a clever, no-nonsense, methodological, cuddly little critter. And this particular shrew is not ashamed to be a bit of a schmartypants!